Visy , in conjunction with Anthony Pratt, are presenting ‘An Audience with Tony Blair – Lessons in Leadership, Negotiation and Innovation’ in the former British PM’s first speaking appearance in Australasia since leaving office in July. Tony Blair will visit five cities over three days in an exclusive speaking tour where he will share his experiences and insights into leadership, negotiation and innovation. Starting in Melbourne on the 27 July, the tour will visit Auckland, Brisbane and Sydney before ending in Perth on 29 July. 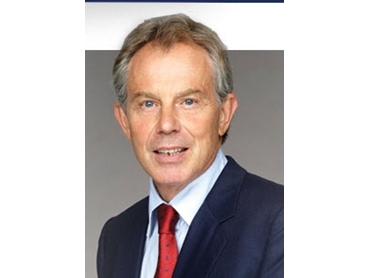 Tony Blair’s experience and influence reach beyond his time in office and affect on world politics to faith and globalisation, the Middle East peace process, African governance and climate change. The former PM is one of the most popular, engaging and respected speakers of his generation. To secure a ticket to the event or for further information, please contact Visy. Tony Blair, the politician who defines our times is one of the most engaging, respected and in demand speakers of his generation. In addition to his experience in office and his influence on world politics, Mr Blair continues to play a leadership role on issues such as faith and globalisation, the Middle East peace process, Africa governance and climate change. sharing his unique insights and experiences in Leadership, Negotiation and Innovation.